José Peña brought some roadside weeds home from Kansas. 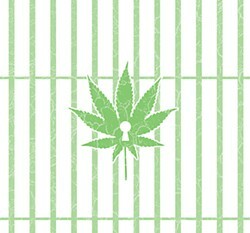 Cops decided it was reefer, and a Texas court sentenced him to life in prison – without the evidence. It took a decade for Peña to get back some of the pieces of his life. José Peña was tired as he drove south toward Houston on the morning of Sept. 27, 1998. Following a quick trip north to Kansas in a rented van – to pick up the brother of a distant cousin’s son – he was on his way home to Houston, where he lived with his wife and four children. It was the kind of favor Peña often did for friends and family, no matter how distant the relation – and the kind of favor that irritated his wife. "I was tired, and I was trying to get home," the 50-year-old recently recalled. "My wife was mad at me for doing favors for other people" when he could instead be home. That morning, just before 8am, Peña was cruising south down I-45, a little more than two hours from home. He was driving in the right-hand lane through Leon County when he passed a state trooper sitting in his car on the grass median. He thought nothing of it – just another Texas trooper on a long and nondescript stretch of highway – until he noticed the trooper pull out onto the road and follow him. The officer, Mike Asby, a veteran member of the Texas Department of Public Safety, drove in the left lane until his car was parallel with Peña’s. Peña looked over at Asby. "He pulled up next to me, and I looked at him because I wasn’t not going to make eye contact" with an officer whom Peña thought was definitely checking him out for whatever reason. Although Peña steadfastly maintains that he wasn’t doing anything wrong or unusual, Asby would later testify that Peña caught his attention because he was driving more slowly than the rest of traffic in a van caked with mud; when the van "weaved across the center stripe and also across the solid yellow line on the shoulder," Asby testified in January 2003, he had to take action. "You’re required to stay in a single lane of traffic," he said. He activated his lights and pulled Peña over. Within the hour, Peña would be in handcuffs in the back of the trooper’s car, headed to the county jail in Centerville on a charge of marijuana possession. Nearly five years later, Peña would be convicted and sentenced to life in prison for possession of what the state said turned out to be 23.46 pounds of freshly cut marijuana that Peña was transporting in the back of the muddy blue van. Although Asby testified that this was not a normal highway drug bust – "normally," he testified, marijuana moves north from Houston, already "dried out, cured, and ready to be sold" – he was certain that what he found casually laid out in the back of the van was pot because it smelled like pot – and he knows pot when he smells it. "It’s something that you learned in  years of experience being on the road?" prosecutor Whitney Smith (now Leon Coun­ty’s elected D.A.) asked Asby. There are at least two problems with the official story of Peña’s arrest and prosecution. First, Peña is adamant – and has been since 1998 – that what he was transporting was not marijuana, but actually hemp, pot’s non-narcotic cousin. Peña says he found the plants growing wild in Kansas and cut them down, thinking that he could use the stems and leaves in the various craft projects he made with leather and wood in his garage workshop; there was no doubt in Peña’s mind that what he was transporting was not marijuana. The second, and eventually more decisive problem with the official story of the Peña bust, is that prior to his trial, officials with the Department of Public Safety lab in Waco, where the plants were taken for testing, completely destroyed all of the case evidence – all 23.46 pounds of plant material – and then also lost the case file with all of the original documentation of the lab’s work on the case. By the time Peña was finally tried – more than four years later – there was absolutely no evidence to show the jury; instead, the state relied completely on the "experience" of Asby and of Waco lab supervisor Charles Mott (now retired) to persuade jurors that what they say they saw and tested was actually marijuana. That is, it worked until late last year, when Peña’s conviction was finally overturned by the Court of Criminal Appeals, the state’s highest criminal court, and Leon County subsequently dismissed the charges for good. In the intervening decade, however, Peña’s case became a political hot potato, catching the attention of judges and lawyers across the state who watched as the 10th Court of Appeals, based in Waco, played tug-of-war with the Austin-based CCA over the power of the Texas Constitution, and whether it affords citizens greater rights and protection against state power than does the U.S. Constitution. It’s a conflict that has left the state of Texas divided and may mean – at least for the time being – that persons tried for crimes in one part of the state will be afforded greater protection from prosecutorial errors or malfeasance than are others. Frankly, says Keith Hampton, an Austin defense attorney who represented Peña just before his case was dismissed, you just "don’t see this happen very often." Ulti­mate­ly, whether the protections gleaned from the Texas Constitution by the 10th Court will remain in force and be applied to all Texans is still to be determined. Peña had a knack for creating handcrafted leather and wood items that sold like hotcakes, he says, at flea markets in and around Houston. He made personalized shellacked plaques and leather key chains with popular first names spelled out in tiny beads, and at a dollar a key chain, they sold well. So when he first saw the hemp plants growing on the roadside near Manhattan, Kan., they gave him an idea. He would take the plants – which, to an untrained eye, look exactly like marijuana plants – press the leaves, and then use them on plaques or affixed to the small leather wallets that he also had become expert at making. He recognized these as "volunteer" hemp plants – they grow wild across the country, reminders of the days when hemp farming was commonplace and even, during World War II, encouraged by the feds as supporting the war effort. By the Kansas roadside, they were scraggly and abundant. When he pulled into the Tuttle Creek State Park outside Manhattan, and saw the plants growing everywhere, he "loaded … up." Indeed, Peña thought nothing of the fresh-cut plants that he’d laid out in the back of the blue van he was driving. 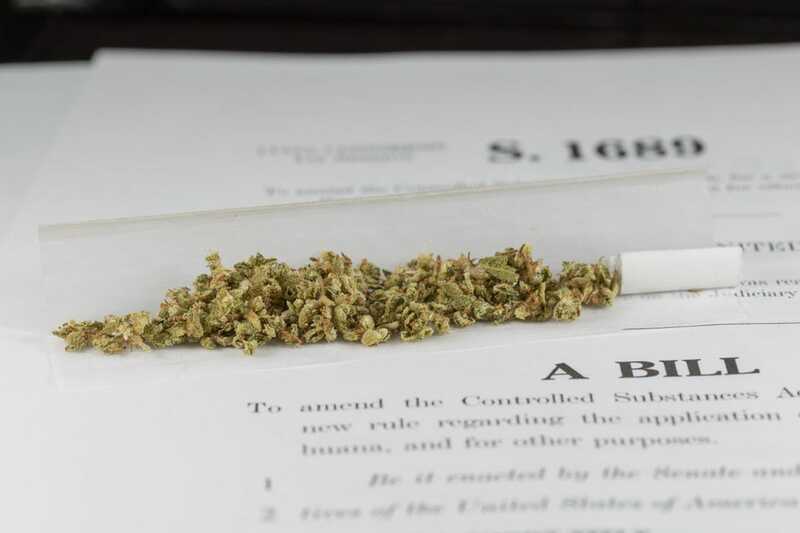 He knew – partly from experience of having smoked pot when he was younger, and partly because he knew that hemp was once a major agricultural commodity – that the plants were nothing more than weeds that looked like weed. However, that’s not how Asby saw it. To him, it was clear that one thing, and only one thing, was taking place. Peña was moving a large amount of marijuana to Houston – as unusual as that might be, Asby acknowledged. Peña repeatedly told Asby that the plants were hemp, and his insistence clearly gave some pause to Asby and the two backup officers who soon joined him. The three men stood next to the van pondering the notion that a plant could look like, but not actually be, marijuana. "I … questioned them, I said, ‘Well, he says it’s not marijuana,’" Asby recalled in court. "I knew that there was a substance called hemp and I was asking them. … And I asked them, ‘You ever heard of something like marijuana, just hemp, that is legal to have?’" he continued. "I don’t know that there is a legal kind. That was the question I was asking the officers: ‘Have you ever heard of this … where marijuana was cut and it turns out to be legal?’"
In the end, Asby was unpersuaded. 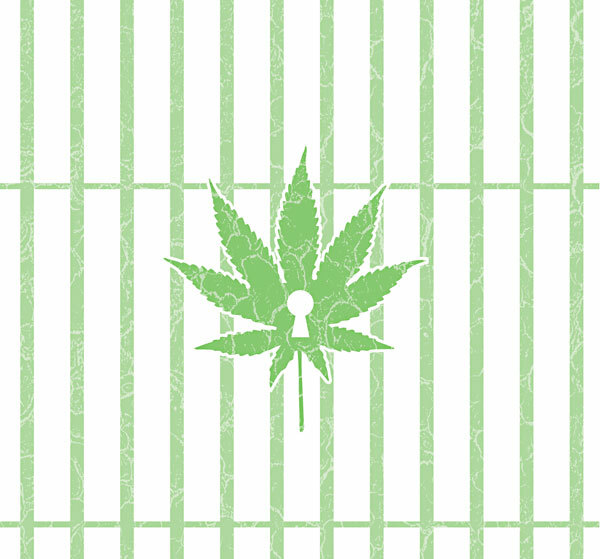 "I just know marijuana smells like marijuana," he testified in 2003. "And I have never found anything that I thought was marijuana that wasn’t." He cuffed Peña and hauled him off to jail.